When people think of fairy gardens they generally think of young girls, however, here at My Little Fairy Garden we know that boys can have just as much fun. We have attended local markets in the past and even we were surprised by the number of boys that showed an interest in the products we offer. This photo is a display we created for one of the markets. 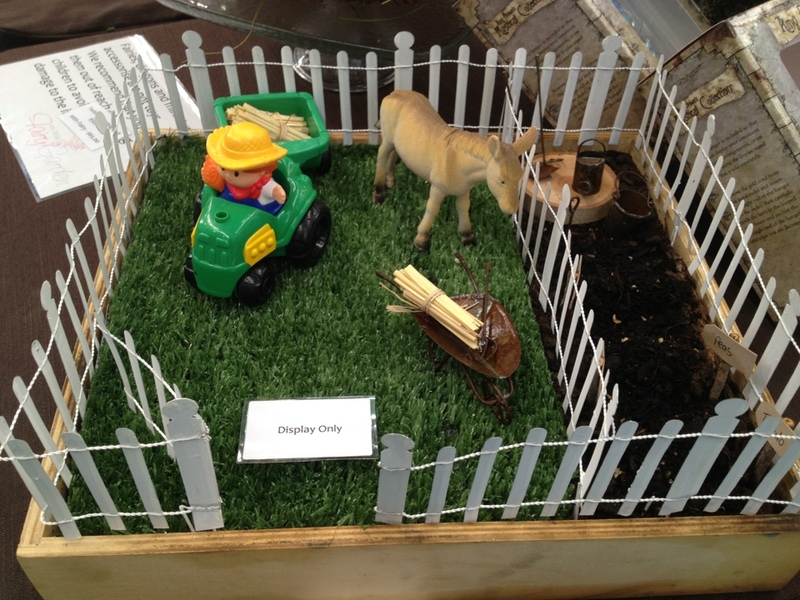 It's a little farm yard and veggie patch. At this market we had one boy play for over 20 minutes while his mum was occupied nearby. 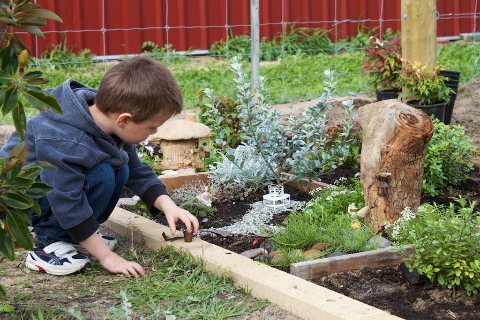 Adding some toy trucks, animals, dinosaurs or insects into your garden is a great way to include boys. They will also enjoy creating a garden. Try a herb or edible garden where they are able to dig, plant and pick the produce.